Mr. Maditsi Mphela holds B .Proc. and LL.B degrees. After serving his articles with S.K.S Makhambeni Attorneys in Pretoria, he was admitted as an Attorney on 25th June 1985. Upon completion of his articles, he was immediately appointed Professional Assistant at the same firm and later moved D Z Tanzi in the same capacity. 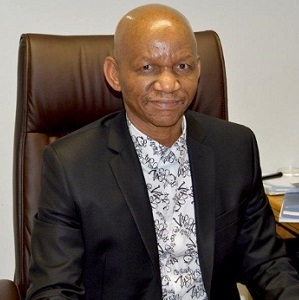 Mphela opened his own practice in 1986 at Groblersdal. He provides overall leadership in addition to taking special responsibility for the personal injury litigation functions. 1998 saw Mphela join forces with a fellow black lawyer Mr. Nkoane Mokabane until 2002 when the present Mphela & Associates Attorneys was born. Mr. Mphela was also contracted to Legal wise from 2002 to 2007. Mr Mphela has dealt with a variety of clients and serves member of various schools, hospitals, FETs, and organizations’ boards located in Limpopo. Mphela is an expert in personal injury & medical malpractice litigation.